We are sooo happy to be blessed with another little girl. And Sister Stinky is very happy to have a "Bay-bee..sisser!" Please keep this littlest girl in your prayers. 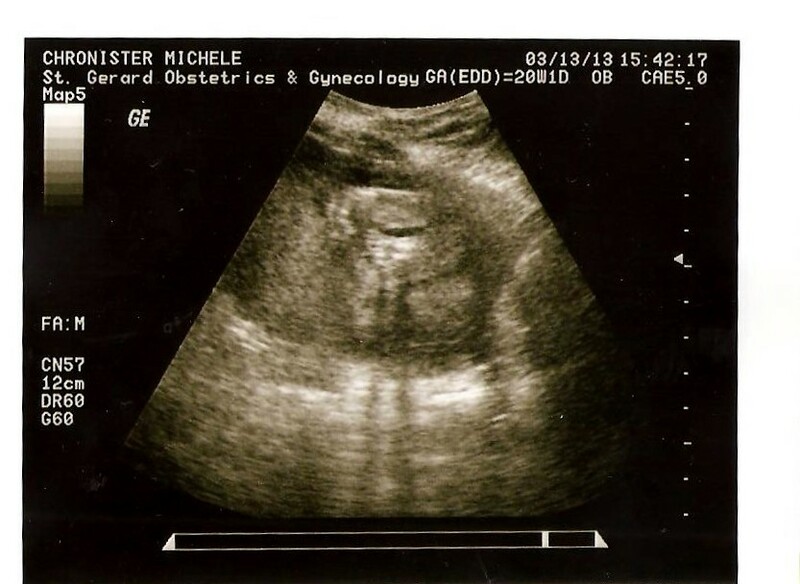 Everything that they could get pictures of in the ultrasound looked good and normal but she was curled in a very funny position so they couldn't get a clear picture of her heart. (I'm pretty sure their ultrasound machine dates back to the early 90s, too...not sure if that has something to do with it, haha.) Anyway, we have to go back to get another ultrasound in 6 weeks so they can get some good pictures of her heart (being that checking that is important and all). 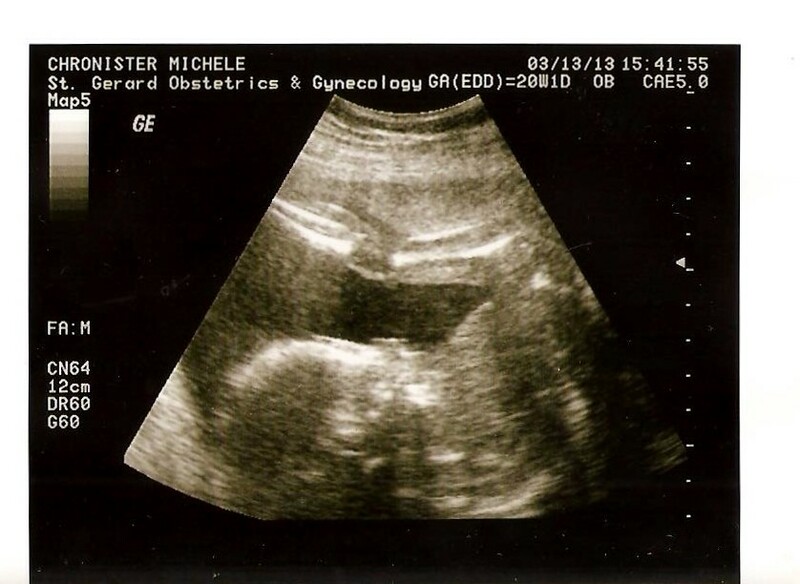 We could see brief images of her heart on there, and from what I could see it looked normal and all (and she's always had a nice strong heartbeat whenever we've gone in) but of course I'm nervous and won't be relaxed until they get a detailed shot and I can hear those words from the doctor. He didn't seem at all concerned today, just acknowledged that she was in a pretty uncooperative position yesterday. Doesn't mean I'm not worrying, because I am a huge worrier! So please pray for my sanity and that baby girl has a nice, strong, healthy heart! Hop on over to Like Mother, Like Daughter for more pictures of contentment!